Will you need to sacrifice your retirement in order to educate your children? Most parents think that "college planning" means "saving for college" - that they are identical. They see the two goals of saving for retirement and planning for college as mutually exclusive and so they do very little, if any college planning. Most parents - regardless of income - don't plan for college until it becomes URGENT. This lack of planning actually increases their out-of-pocket college costs and may needlessly divert thousands of dollars from their retirement savings. The fact is that college planning is NOT just "saving for college." It also includes college planning and funding strategies that can help parents save ON their college costs - not just FOR college costs. Fisher Financial Strategies is a leader in providing college planning and funding solutions to parents of college-bound children, helping them solve their college funding dilemma. The practical benefit can be significant savings on a family's overall college bill - dollars that could be reallocated for other, even more urgent purposes, like retirement savings. 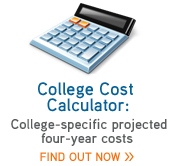 send your child to the college of your choice - not just the least expensive one. Read on to learn how Fisher Financial Strategies can make a difference for you - starting today - including how you can receive a quick diagnosis of your situation.